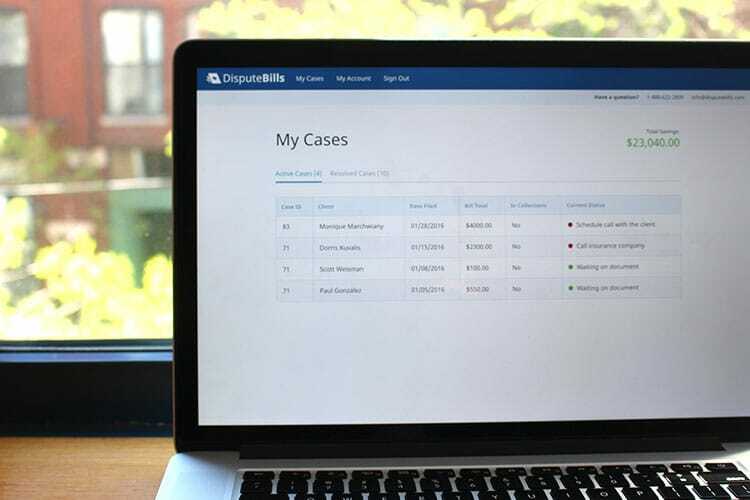 DisputeBills is A HIPAA compliant platform that allows users to dispute medical bills by connecting them with an experienced advocate to manage their case. 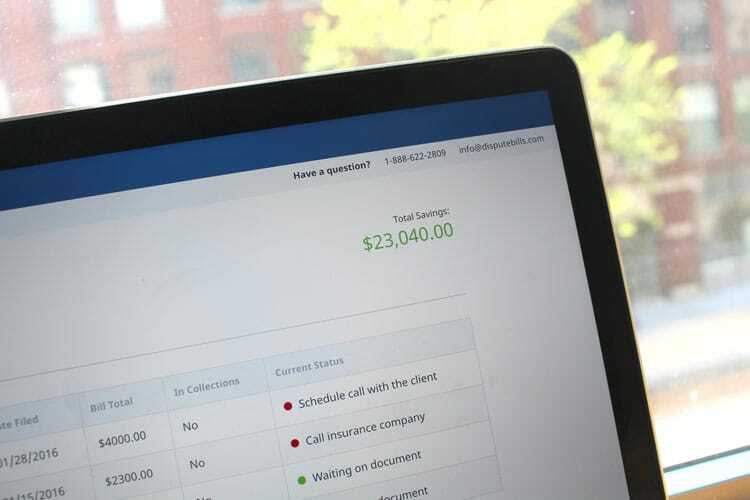 About 85% of medical bills contain an error that results in patients having to pay more than they should—this is where DisputeBills comes in. Their team of experienced advocates will take on your case, find the errors on your bill, and save you money. 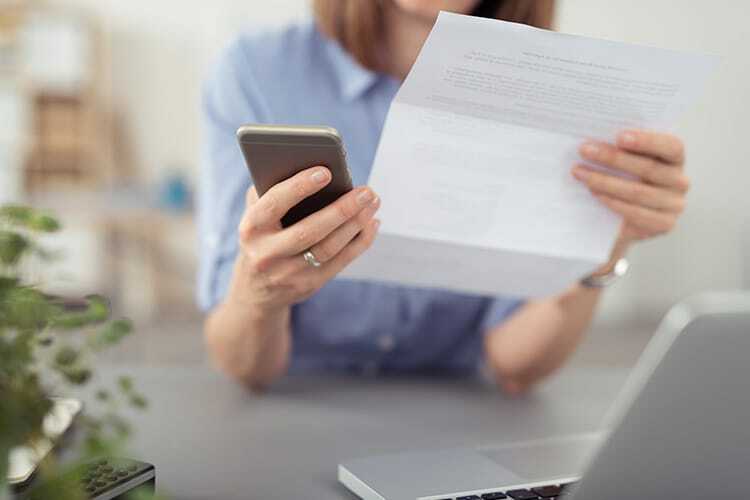 They were able to validate this idea by providing users with a simple contact form requesting basic information and the rest would be handled via phone or email. This worked great when the company was managing just a few users, but, this manual process prevented the company from scaling. 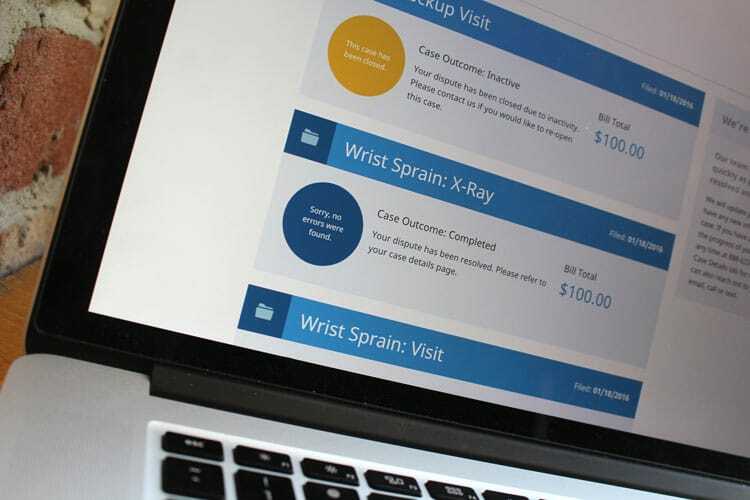 They needed a more automated way to manage cases from both a user and advocate standpoint, while providing a strong level of security when handling sensitive patient data. DisputeBills also wanted a stronger brand and logo that would illustrate their ideals of efficiency, experience, friendliness, and quality. The co-founders of DisputeBills, Matt and Tim, joined us so we could pick their brains about how their business currently operates and get a solid understanding of their business goals. They walked us through their current process of handling a case, from start to finish. We learned about the major pain-points of that process (many of which we were able to automate). For instance, the original workflow required frequent touch points between the advocate and user, typically happening by phone. This was a bottleneck in their process which we were able to clear up. Additionally, the initial form did not collect all the information needed for an advocate to immediately start working on a case. Together, we mapped out the various pieces of information that an advocate would need at certain stages in the process without overwhelming a user. 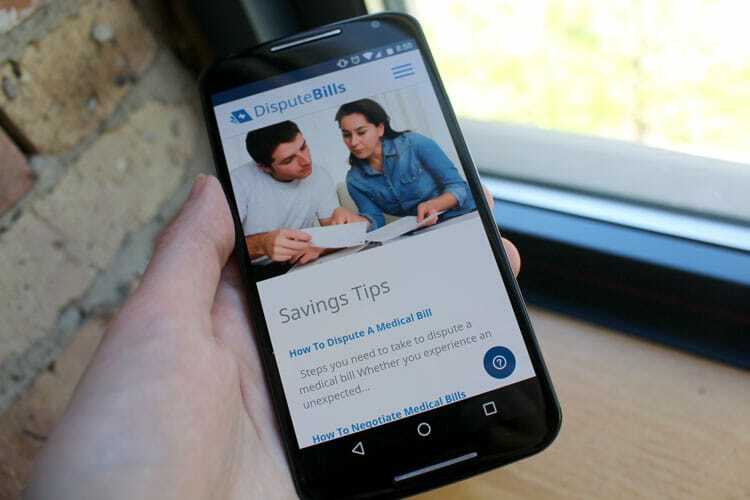 The typical user of DisputeBills would be someone who had received an expensive medical bill that they can’t afford. As a result, they typically have strong feelings of stress, pressure, and helplessness. 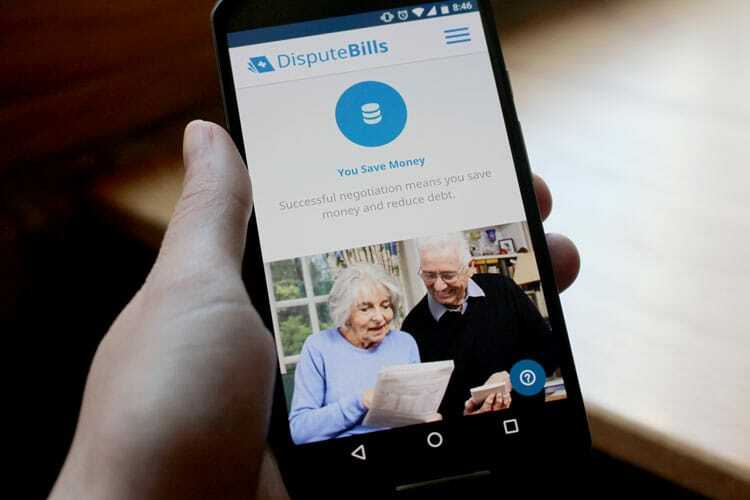 The DisputeBills brand would need to provide these users with a sense of reassurance, experience, and efficiency. A stack of papers to represent “bills piling up,” the cross is signifies the medical industry, and the bills are angled to suggest movement giving users the feeling that their cases are handled with speed and efficiency. The blue gives off a sense of trust, reliability, and calmness and the green implies success and savings. Noto Sans was chosen as the primary typeface, which looks professional yet friendly and approachable. 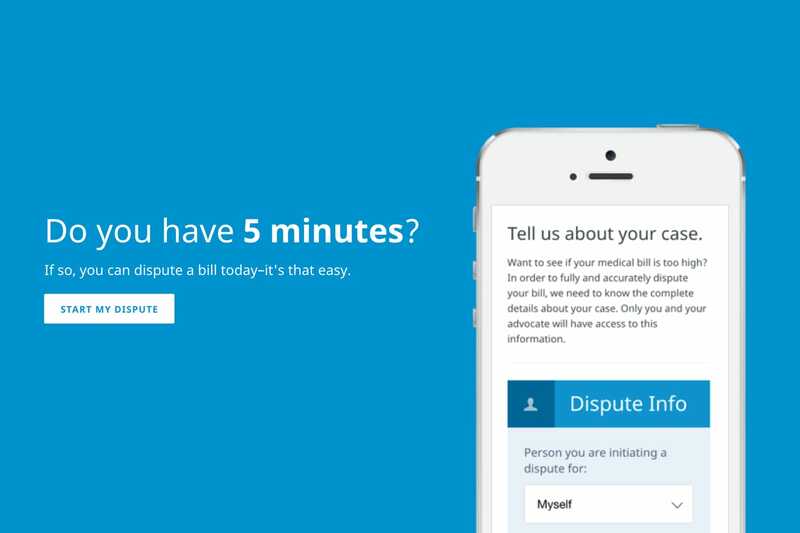 The typical user of DisputeBills would be someone who had received an expensive medical bill that they can’t afford. As a result, they typically have strong feelings of stress, pressure, and helplessness. The DisputeBills brand would need to provide these users with a sense of reassurance, experience, and efficiency. In terms of the color palette we selected, the blue gives off a sense of trust, reliability, and calmness. Whereas the green implies success and savings—two things their users are hoping for when it comes to their case. We chose Noto Sans as the primary typeface, which looks professional yet friendly and approachable. The logo illustrates a stack of papers to represent “bills piling up,” the cross is signifies the medical industry, and the bills are angled to suggest movement giving users the feeling that their cases are handled with speed and efficiency. 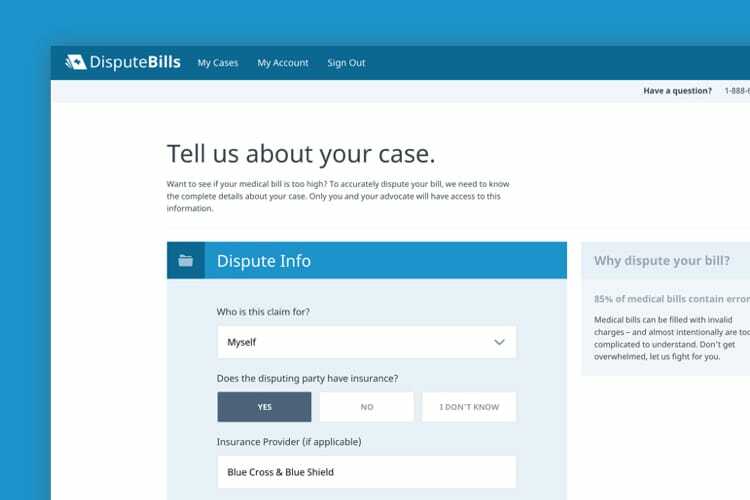 We designed and built a responsive application that would allow users to easily file a case, see the current status, and communicate with their assigned advocate. 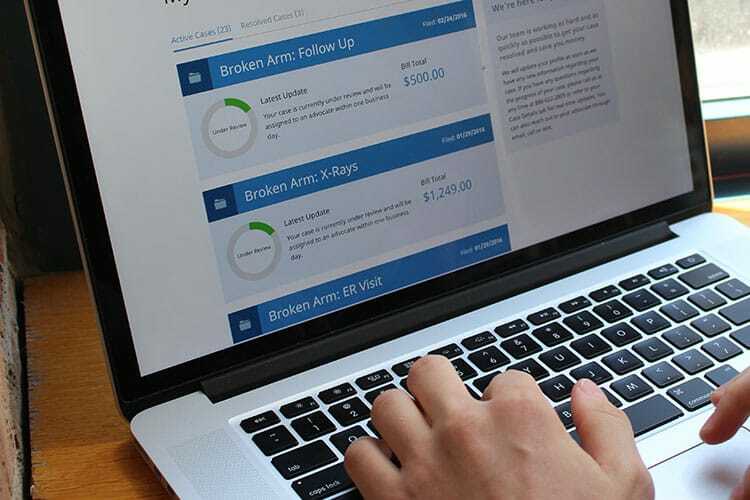 The application is also fully HIPAA compliant to protect any sensitive patient data contained in the medical bills and other uploaded files. Advocates can manage multiple cases, request additional files from the user, and keep notes related to a case organized. Administrators are able to assign new cases to an advocate and manage all parts of the case workflow. 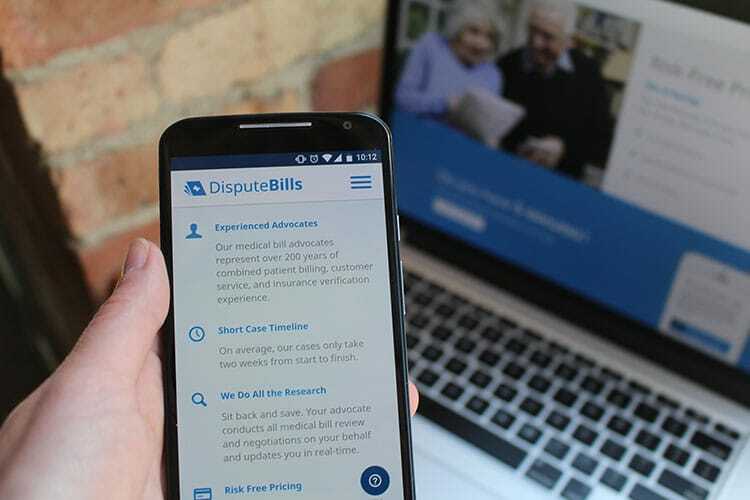 We also established a cohesive new brand identity, along with a new marketing page that showcases the benefits of filing a case with DisputeBills. Now that the application has launched, the team is making a strong marketing push to drive new users to the application. 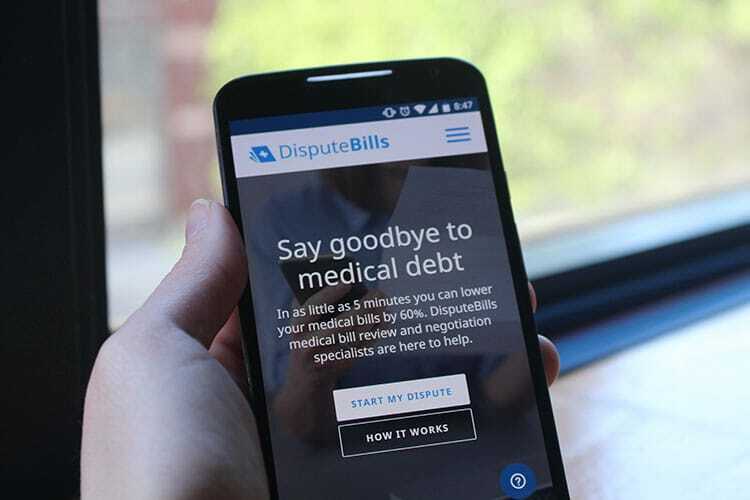 Following the successful launch of the new application, the DisputeBills raised a $400,000 round of seed funding from angel investors. The company is now focused on collecting user feedback and identifying areas of the application can be improved upon. 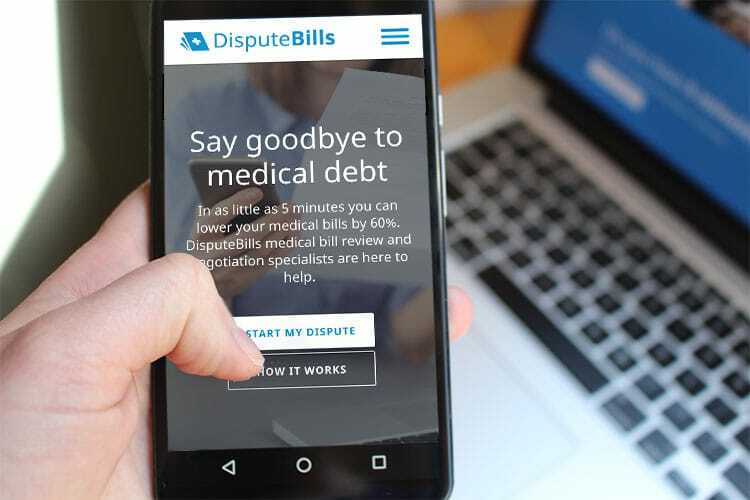 Whether it’s building new features or adjusting the flow, having actual users in the application will provide a lot of good insight and help create the best possible experience for DisputeBills’ users and advocates.